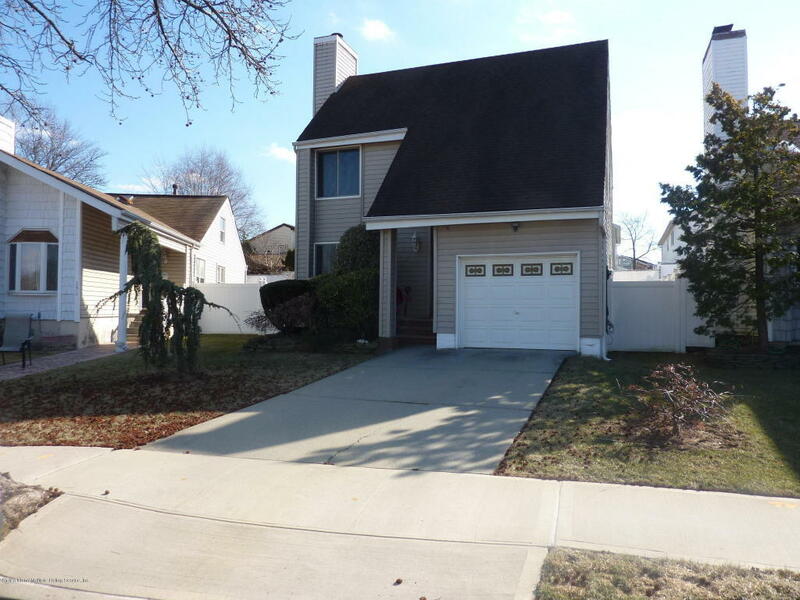 Spacious 4 bedroom detached colonial home features private bath in master bedroom, fireplace, huge eat in kitchen with sliders to large screened patio and backyard, hardwood floors throughout, some new windows, furnace and central air one year old. 4 outdoor security cameras, full finished basement, garage. Near highways and Staten Island mall. Great location!